The 2018 Best Christian Colleges list evaluates schools on 21 different data points – each related to one of three major ranking categories – accessibility, affordability and academic quality. A few of these 21 data points were used for each Christian college and university to gain inclusion into the ranking evaluation pool, while the rest were used to rank the schools against each other. 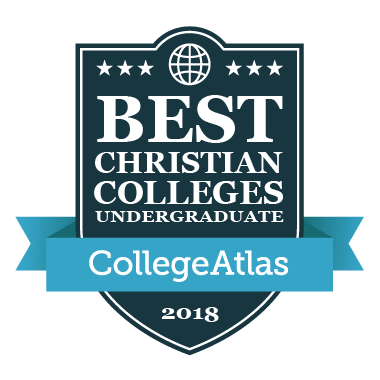 The rankings data that the College Atlas Best Christian Colleges list utilizes are the most important elements for potential students and their parents to consider. The Best Christian Colleges dataset started with the full IPEDS universe of over 7,500 accredited colleges and universities, a list that represents all U.S. colleges and universities that submitted their college and university information through the IPEDS annual survey. Among these schools, there are approximately 880 schools that reported a Christian religious affiliation. The defining aspects of a Christian college or university are the dedication to the integration of Christian faith and learning in traditional academic fields and maintenance of those teachings as a focal point of their school’s mission, values and curriculum. Schools that did not make the Christian college ranking evaluation pool did not submit their IPEDS survey data to the U.S. Department of Education, did not specify a Christian religious affiliation on their IPEDS survey, did not provide more than five different undergraduate degree programs as part of their education offering or did not provide enough data within the required ranking data points. Data from the ranking pool was combined with data from CollegeScorecard.edu.gov, ACSI Accreditation data, CCCU membership data, Payscale.com and individual Christian college websites. This combined data set was used to rank colleges with a median standard deviation score within each data point. These scores were then given a weight, according to their usefulness in the overall measure of accessibility, affordability and academic quality. Below is the breakdown of each of the three major ranking categories, including category importance, overall ranking weight of the category and specific factors contributing to each category.